I love social media! When Twitter first began and many companies were trying to establish their presence on the platform, there were contests galore. I have been lucky enough to win specially priced tickets from US Airways, points from IHG, posters, and even the occasional win from a fellow blogger. Imagine my surprise this morning when I logged on to Twitter to see that I was a winner of 3000 Hyatt Gold Passport points in Hyatt’s Twitter Contest promoting their Make Vegas Yours campaign. To capture all that Las Vegas offers, Hyatt Gold Passport recently launched a website, MakeVegasYours.com, to help guests explore Las Vegas while also promoting the Hyatt Gold Passport and M life relationship. 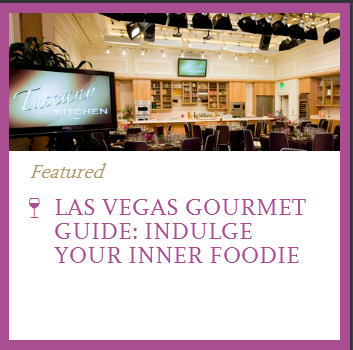 MakeVegasYours features daily content around all things Las Vegas – from activities, wellness, food and drink, entertainment, accommodations, shopping, and more! Additionally, Hyatt Gold Passport is hosting weekly opportunities for users to win prizes including free nights at M life resorts, Hyatt Gold Passport points, a variety of show tickets, and gift cards. That’s just one more thing that makes Hyatt so special! In line with those giveaways, on August 5th-6th, entrants were asked to post to Facebook or Twitter via MakeVegasYours revealing what their preferred Mlife property was for a chance to win 3000 Hyatt Gold Passport points! Three winners were randomly selected from all of the Twitter entries – and I was one of the lucky ones! The 3,000 Point giveaway also aligned with the announcement that guests are now able to earn up to 3,000 Hyatt Gold Passport bonus points after every 3 nights they stay at participating properties in Las Vegas from August 1 through December 30, 2014. Simply register by October 15, 2014. More information can be found here: hyatt.com/vegassummer. 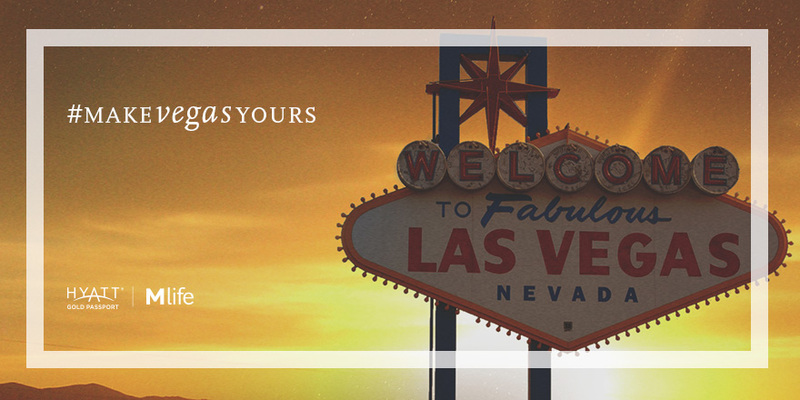 This week, on August 12th and 13th, visitors to MakeVegasYours may participate in a new giveaway for a chance to win $250 towards their dream Las Vegas meal. To enter, visit MakeVegasYours, click on the weekly giveaway section near the top of the site. Once on the giveaway section, fill in the blank with what your dream Vegas meal is with #MVYEntry and #MakeVegasYours and post to either your Facebook or Twitter profile via the plug-in. Or you can simply follow Hyatt Tweets on Twitter to get the latest news of the giveaway. Hyatt Gold Passport will be hosting weekly giveaways through the end of September. Be sure to stay tuned each week to see what we will be giving away and discover new lists, tips and Las Vegas tricks so that you can #MakeVegasYours! You can follow Hyatt on Twitter here: @HyattTweets. What about you? Do you enter Social Media contests? Be the first to comment on "Make Vegas Yours with Hyatt Hotels"